Hey lovelies! Today I wanted to write a short post sharing my newest obsession with you...Aviator Sunglasses! You may have already seen these in my June Love List last week, but can you blame me? I usually find choosing a pair of sunglasses quite hard, I mean I either end up with super thin-framed ones that make me look part-granny, or mirrored ones that are just way too bright for me haha so when I spotted these lil' guys online I instantly fell in love! Aviator's have a very distinctive look with the oversized lenses and wide bridge but they almost have a retro style to them which is one of the reasons I love them. I choose these black rimmed ones (a classic!) after hours of scrolling through the Glasses Shop Website which they very kindly sent me to review here on Just Morgs. They have hundreds of prescription sunglasses as well as just normal ones, but obviously as a non-glasses wearer I opted for these aviators (especially since Summer is finally here now!) I think this will be perfect for all the Music Festivals I'm going to soon and eek I can't wait hehe. The quality of these glasses are absolutely amazing, especially since they're so affordable! The only fault I could find with it was when they first arrived one of the nose pads was slightly loose, but that's perfectly understandable considering how far they've travelled and all I did was twist the pad slighltly and it's been secure ever since. I was super impressed with the navigation of the whole site too (being all blogger-techy and obsessed with templates hehe!) It was so easy to find the style of glasses I was looking for as well as allowing me to search using Gender, Prescription type, Colour and Price. 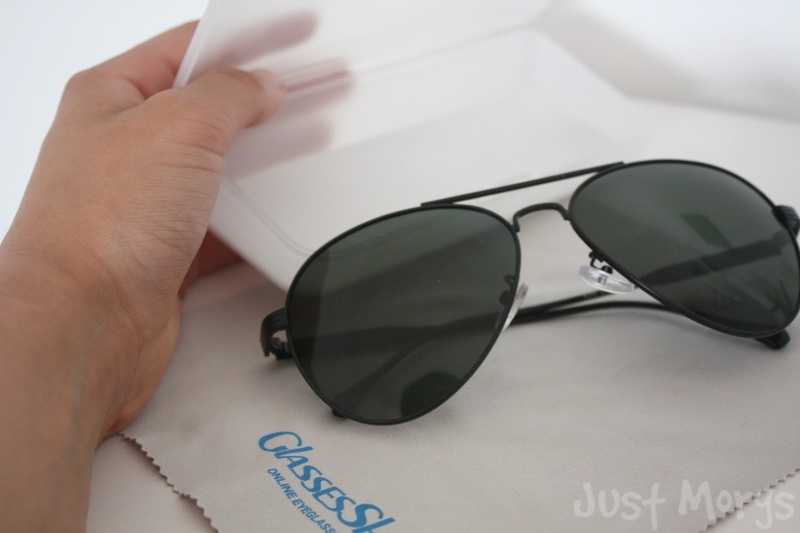 I love my Aviators and there are so many different versions of them on the site I'm already tempted to buy another! 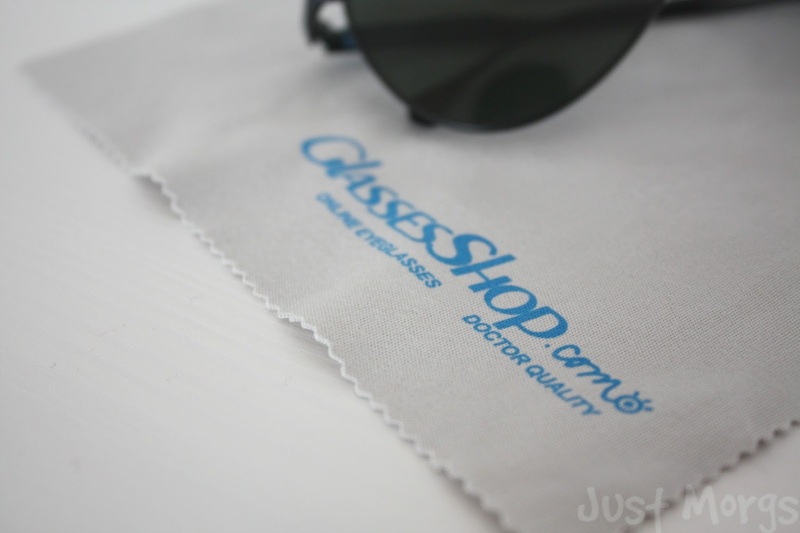 So I've got my pair of sunglasses for the summer now, but I would totally recommend the Glasses Shop to anyone who's still on the lookout for some gorgeous, great quality glasses this Summer! As a treat for you lovelies, they have also given me a 50% off all eyeglasses and sunglasses code for you to use: JustMorgs21 (Any of you who've read my 31 Random Questions post will know 21 is my favourite number so of course that's in there hehe !) Hope you've had a fab weekend and I'll see you in Wednesday's post. QOTD: DO YOU WEAR GLASSES? Nope, I've never had to wear glasses before but I've always loved the look of them! I used to wear aviator sunglasses and now you make me want to wear them again! I wear glasses and I completely hate it, so I wear contact lenses every time I can. I didn't try lenses on until I was 17, that's why I started wearing sunglasses at an older age. This Summer I'm wearing them a lot! Aviators are always the best idea, they're simple but so stylish! Nice shop, so cool sunglasses! Aviators are my favourite style of sunglasses at the moment and it's also great that they do prescription lenses since I wear glasses!